The CCAA is the governing body for Canadian collegiate sports. The ACAC is the governing body for collegiate hockey in Alberta. The ACAC is permitted to make regulations provided they are consistent with or more restrictive than those made by the CCAA. How many ACAC hockey programs are there? Can ACAC institutions offer financial awards or scholarships to its student-athletes? Yes. ACAC institutions can offer financial assistance to its athletes. What is the definition of financial assistance? Financial assistance includes scholarships, bursaries, grants and financial awards. Who is eligible for an athletic financial assistance? Any student who competes in athletics and meets the requirements for financial assistance can receive financial assistance. Each institution sets its own eligibility requirements for athletic assistance. Is there a maximum amount of assistance that individual student-athletes can receive? Yes. Financial assistance or awards can not exceed the total cost of the student-athlete’s enrollment fees. What is the definition of “enrollment fees”? Enrollment fees shall include tuition, recreation fees, Student Association fees, etc. What are the academic requirements in order to be eligible to compete in the ACAC? There are no minimum high school requirements set out by the CCAA or the ACAC to determine initial athletic eligibility. Each individual institution sets the entrance requirements of its students and as far as the ACAC is concerned if a student is admitted to the institution then he/she is eligible to compete in the ACAC. Therefore, initial academic requirements will be dependant on the program of study and institution to which you are applying. What are the academic requirements to be eligible to continue competing in the ACAC? Once attending an ACAC institution and competing in athletics, a student-athlete must maintain “full-time” status and achieve a passing G.P.A. each semester in order to be eligible to compete in the following semester. A student shall be considered full-time if he/she is officially registered in a minimum of 60% of a full course load in an accredited program of study. Who determines what is “full-time” and what is a “passing G.P.A.”? Each individual institution shall determine what constitutes a full-time student and what constitutes a passing G.P.A. How many years of athletic eligibility do I have to compete in ACAC athletics? You have four (4) years to compete in the ACAC. What is considered “a year of competition”? You will be considered to have used one year of eligibility if you have participated in one scheduled ACAC contest. This does not include preseason contests. Can I attend two ACAC institutions and still take part in the athletics programs? Yes. Students registered in more than one institution simultaneously shall be free to choose the institution for their athletic participation. You must declare an institution as your “home campus” for athletic purposes prior to the first scheduled conference competition. Do I lose ACAC athletic eligibility if I compete for a professional team, play in a professional leagueor get paid to play hockey? No. Unlike the NCAA and CIS, participation as a professional hockey player does not affect the number of years of ACAC athletic eligibility. Do I lose ACAC athletic eligibility if I tryout for a professional team? No. Hockey players are allowed to tryout for professional hockey teams without jeopardizing their ACAC eligibility. Can I play games in major junior and still be eligible to compete in the ACAC? Yes. 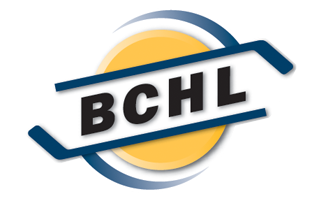 Unlike the NCAA, the ACAC does not consider major junior hockey leagues to be professional hockey leagues. Therefore, competition in these leagues will not jeopardize any ACAC eligibility. Can I tryout for teams in major junior and still be eligible to compete in the ACAC? Yes. 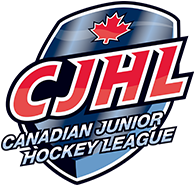 Unlike the NCAA, participation in major junior hockey tryouts will not jeopardize any ACAC eligibility. Does NCAA and CIS participation count towards the four (4) years of my ACAC eligibility? Yes. Participation in the NCAA or CIS will be considered equivalent to and deducted from your four years of ACAC eligibility. The NCAA and CIS definitions of “competition”, “participation” and “eligibility” will be respected in determining loss of ACAC eligibility. As an example, if you entered the NCAA and played 10 games in your first season then, according to NCAA definitions, you would have “competed” and as such used one (1) year of NCAA “eligibility”. Therefore, if you transfer to the ACAC you would have only three (3) years of ACAC eligibility remaining. If I transfer from the NCAA or CIS, how soon after I transfer can I play? 2. you have attended your new ACAC institution for a full term (minimum 12 weeks) during which your sport has been playing, but you only practiced and competed in exhibition games. If you transfer from an NCAA or CIS institution for which you competed in hockey during the same sport year, you will be deemed ineligible to compete in ACAC hockey for the remainder of that sport year. For example, if you played a game in the CIS in October of 2004 and transferred to an ACAC institution in January, you would not be eligible to play at the ACAC institution until September of 2005 – the start of a new sport year. Can I transfer from one ACAC institution to another ACAC institution and still play? b. you have attended your new ACAC institution for a full term (minimum 12 weeks) during which your sport has been playing, but you only practiced and competed in exhibition games. If you transfer from an ACAC institution for which you competed in hockey during the same sport year, you will be deemed ineligible to compete in ACAC hockey for the remainder of that sport year. For example, if you played a game in the ACAC in October of 2004 and transferred to another ACAC institution in January, you would not be eligible to play at the new ACAC institution until September of 2005 – the start of a new sport year. Do ACAC institutions provide for recruiting trips? Students are free to visit the campus of an ACAC institution at any time. There are no restrictions on the number of times you can visit a ACAC campus. Can an ACAC/CCAA institution cover prospect expenses for recruiting trips? No. No institution shall finance transportation costs incurred by a prospective student-athlete. Moreover, no institution shall finance, arrange or permit entertainment of any prospective student-athletes. Can ACAC/CCAA universities pay for my parents to visit the campus? No. No institution shall finance transportation costs incurred by his/her family or friends. Can I receive apparel or other products while on a recruiting trip? No. No institution shall finance, arrange or permit the giving of gifts to prospective student-athletes.